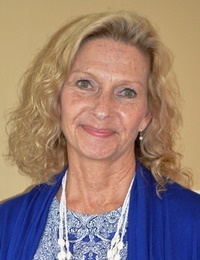 Talbot Hospice Board President Susan Piggott recently announced the appointment of Vivian Dodge as Executive Director. Dodge has more than 34 years of experience in the healthcare industry, and most recently served as Director of Quality Management at Hospice of Palm Beach County the last 13 years. She has been serving as Interim Executive Director since February. Dodge is a registered nurse with a bachelor’s in science and nursing and a master’s degree in business administration and health administration. She brings with her a comprehensive knowledge of Joint Commission standards, survey methodologies and tracers, survey preparations, resolving survey deficiencies, and accreditation surveys, as well as a demonstrated ability in education and training of staff. Her prior experience includes developing, overseeing, and implementing Quality Assurance and Performance Improvement (QAPI) and Corporate Compliance Programs to ensure compliance with Federal and State regulations. She has broad understanding of American Health Care Association (AHCA), Medicare and other regulations. Dodge has presented on the topics of quality, compliance, performance improvement and risk prevention at the Florida Hospices and Palliative Care Symposium and at National Hospice and Palliative Care Organization (NHPCO) conferences and webinars. She has done clinical research for Bayer Corporation on infectious diseases in pediatric patients. She published “Measuring Quality through Patient Outcome Quality Assurance Programs” for an international conference on productivity and quality research. Dodge is a member of NHPCO, National Hospice Quality Workgroup (NHQW), and served on the NHPCO Quality and Standards Committee from 2007- 2013 and the Joint Commission Professional and Technical Advisory Committee Representing NHPCO from 2012- 2015. She is a former member of the American Organization of Nurse Executives (AON), National Association of Orthopedic Nurses (NAON); and served as President of the Palm Beach County Chapter of NAON, 1990-1991. Dodge hails from Jupiter, Florida. Her interests include outdoor activities, the beach, biking, gardening and yoga.